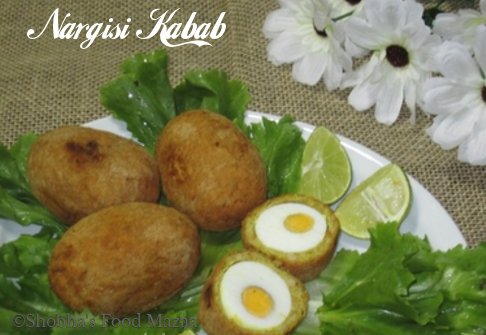 Nargisi Kabab is nothing but a hard boiled egg coated with mince meat, 'Nargisi' is derived from Nargis( Narcissus) a winter flower grown in India. 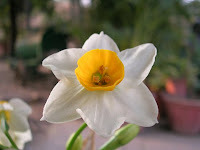 The flower has yellow center (the color of cooked egg-yolk), surround by white petals resembling cooked egg-white. 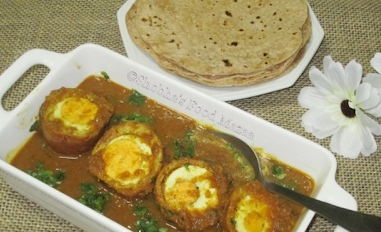 Nargisi Kofta, when cut in half, the egg-yolk and egg white look like the flower Nargis. This is a Desi version of Scotch eggs. In my recipe I am using Chicken Mince. Besan/gram flour ... 3-4 tbsps. ( for coating) You may use bread crumbs also. 1. Mix the chicken mince, garlic paste, boiled and mashed chana dal and all the spice powders and salt. Also beat one egg and add it to the mix. (If the mince is not ground finely then use a food processor) Keep the mix in the refrigerator for 30 minutes. It becomes a bit stiff and easy to bind. 2. Peel the boiled eggs. 4. Deep fry first on high flame and then reduce it. Since the mince is uncooked, it takes about 5-6 minutes. Fry to a golden brown colour. These could also be served as a curry with gravy. I made a simple onion gravy and added all the spice powders and salt. Cut the Nargisi kababs into halves and pour the gravy over them. Garnish with chopped coriander leaves and serve with rotis/naans/parathas. Wat a fantastic,super delicious and mouthwatering kabab. The contrasting color looks beautiful and appetizing! So classy..Royal kababs...wow.will try this . thats very interesting and delicious recipe. always rocking shobha :) fantastic recipe..
That's a favorite of mine too Shobha..Looks perfect ! Lovely, new recipe for me. Looks super delicious!! Do drop by my space & follow if you like. My wife says these look like a delicious and updated version of Scotch Eggs...who am I to argue...I just eat! Wonderful recipe as always. Thanks for sharing. wow,they look beautiful & elegant..yummy! 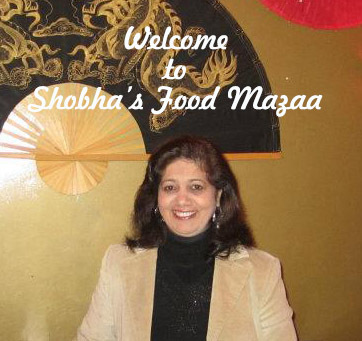 I am keep on bookmarking ur recipes.lovely shobha .hats off. looks so perfect and yummy...bookmarked...will try for sure.